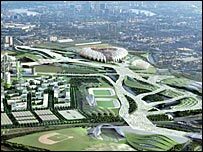 A dispute is continuing over securing the ownership of land earmarked as the site of London's 2012 Olympic Games. The London Development Agency has been accused of jeopardising a £4bn plan to regenerate Stratford in East London by issuing up a compulsory purchase order. London and Continental Railways (LCR) which owns some of the site says the LDA could "kill off" the development. But an LDA spokeswoman denied the claim and said: "We are absolutely committed to the regeneration of this area." She added that the compulsory purchase order (CPO) had been issued only to safeguard the land needed for its Olympic Park. The LDA has been negotiating with LCR because some land currently under the private consortium's control overlaps the Olympic site. Negotiations between the two sides reportedly broke down last week. A statement to London's Evening Standard newspaper by LCR declared it was "shocked, amazed and deeply disappointed at the (CPO) decision". Some 81% of the land needed for the Olympic Park is already in public control. The LDA spokeswoman said the order would not need to be enforced if private deals went ahead instead. And she claimed both the Stratford City project and the Olympic Park "can be delivered and should be delivered together". 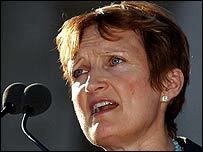 Olympics Minister Tessa Jowell said: "The CPO is a failsafe mechanism... However all parties are committed to reaching a negotiated settlement. "I am certain that we will reach successful conclusions to these negotiations and that both the 2012 Olympic Games and the Stratford City development will leave a positive and enduring legacy for east London." Construction on the Stratford City project is due to start in late 2006 or early 2007, with completion of the development scheduled for 2020. It plans to transform the 180-acre site of the former Stratford Rail Lands into a mixed-use development, including 4,500 new homes, office space, hotels and shops.